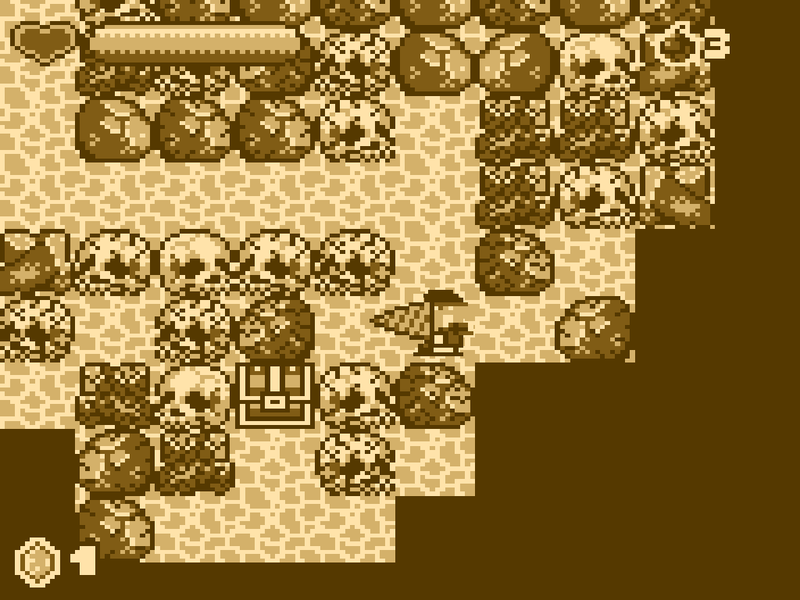 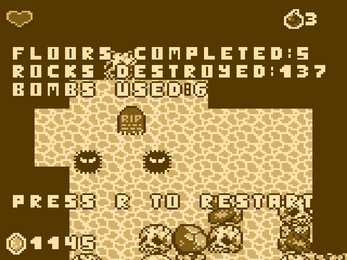 Made for #gbjam 4. 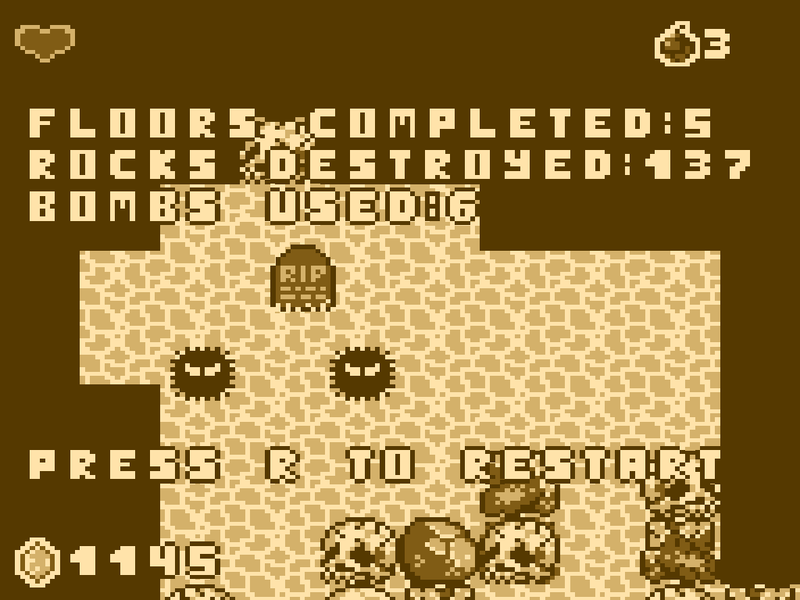 Procedrill is a randomly generated roguelike drill-em-up. Drill stuff, find diamonds, don't die in an explosion. You play as a greedy dwarf who just wants to drill for diamonds. 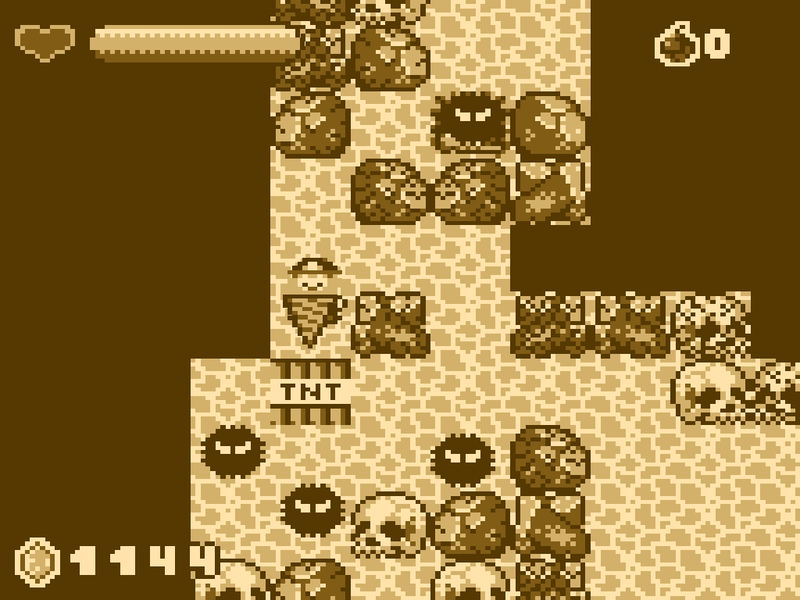 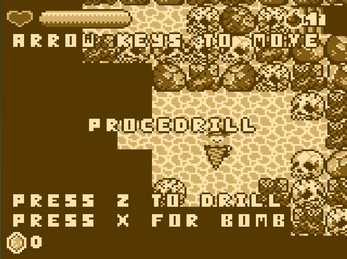 Drill rocks to break them or use bombs to cause explosions. 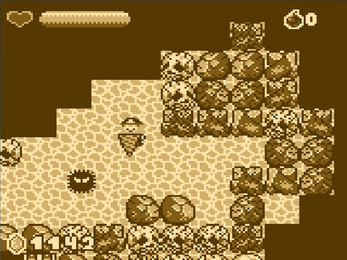 Each floor of the cave is randomly generated and gets progressively larger. 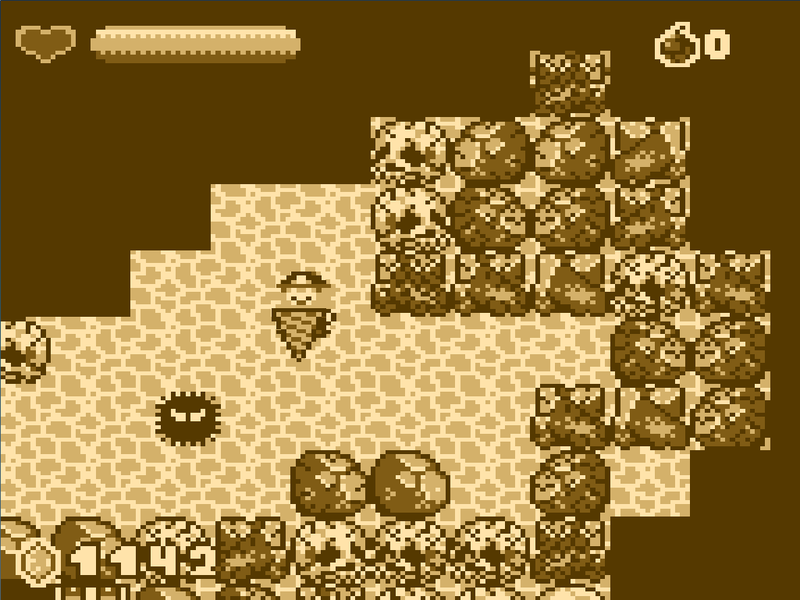 There are other things in the caves, but you'll have to find those out for yourself.